With a long list of apps and solutions, Google has been creeping its way into the workplace for some time now. Not only does the search engine giant provide flexible cloud storage and web based productivity tools, and of course email – but Google can even substitute your phone company. Google Voice is the company’s VoIP or internet calling solution, and offers a medley of features like email to voicemail, SMS and texting capabilities, and even a local phone number. The platform even allows users to make or receive calls or even texts directly from their computer or mobile phone. Not to mention, the entire solution is completely free. Whether your business needs to supplement another line for a high call volume, interact with customers through text or SMS, or even make calls from a local number Google Voice has your business covered. But as many utilizing Google Voice may have experienced, the platform is not always the most reliable and robust. If you’re a small one man gig start up and need to completely minimize costs in anyway, a Google Voice number is a great way to stand out and establish and independent business line, or just a second line in general. 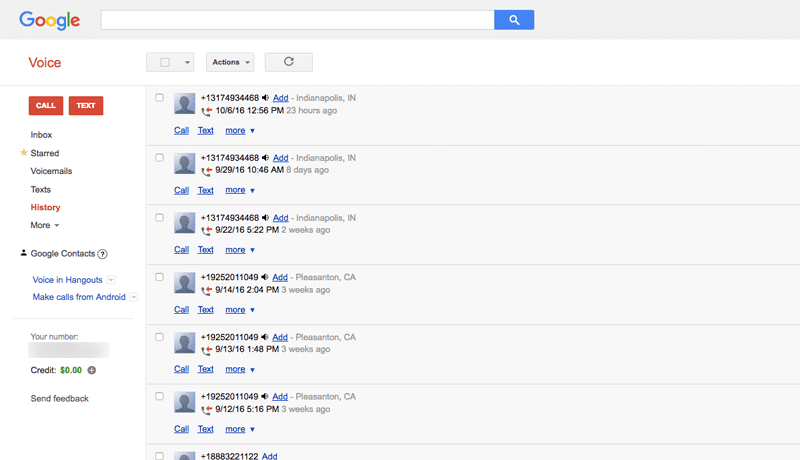 But if you really want to ensure the most professional appearance possible, sometimes Google Voice just doesn’t cut it. And while there are many great hosted PBX and Business VoIP providers that can offer an entire phone system for much less than a legacy phone company, these plans can still be a bit on the expensive side, and may not always provide a local number or charge extra for extra numbers. Unfortunately, while there is a bit of a shortage of free Google Voice alternatives, one does not have to break the bank to adopt a local number, messaging and calling platform with the same great features Google includes. We had previously included Grasshopper in our alternatives to the Ooma Office, and the provider continues to offer a solid platform worth consideration. While a bit more costly than some of the other alternatives, Grasshopper provides a total phone system with a huge list of features. Users can port their existing number or adopt a totally new toll free, local or even vanity number. While 800 numbers are on their way out, Grasshopper has you covered and can even provide the new 844 series of vanity numbers for even more options. The platform’s mobile app comes with some unique features as well, such as mobile fax signatures, faxes emailed as PDFs, and even the crowd favorite voicemail transcriptions sent right to your email – something Google Voice does very well. Not to mention custom greetings, an auto attendant, and total location flexibility – add agents or departments from anywhere, and provide them with their own local extensions. 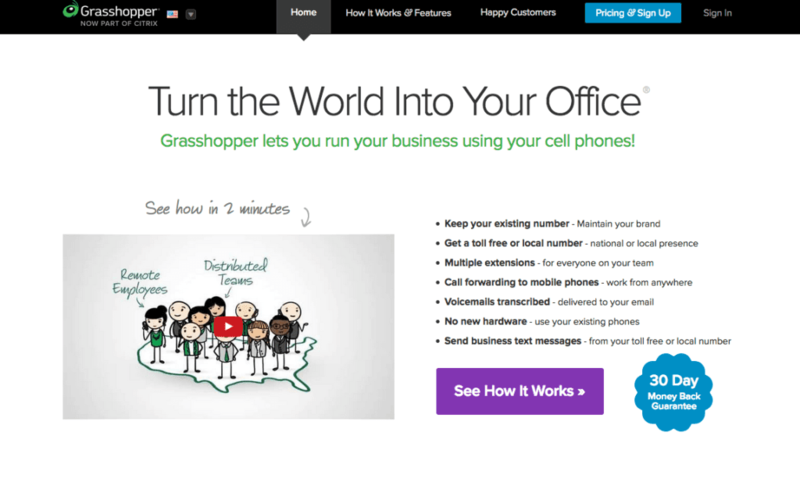 Similar to Grasshopper, MightyCall is another provider with a strong focus on providing a complete communications platform to SMBs and entrepreneurs. 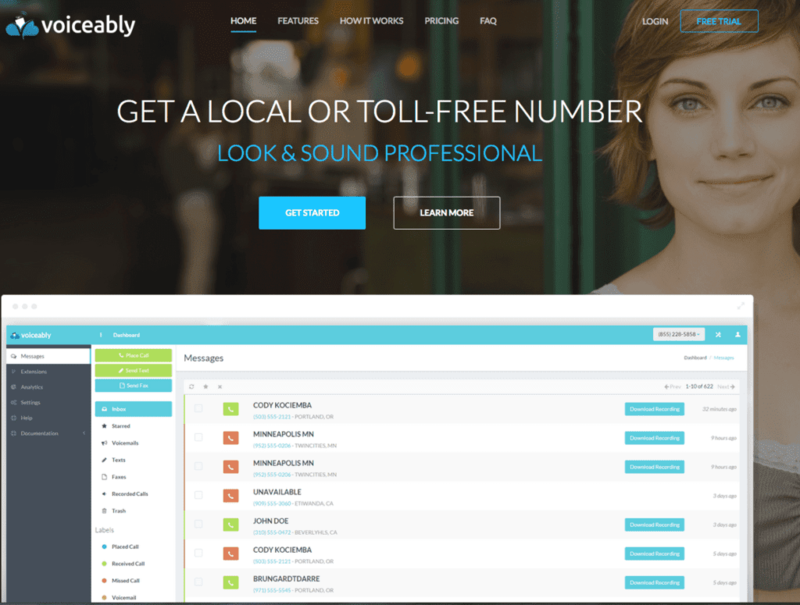 With an affordable entry price of only $19.99 per month, businesses gain access to MightyCall’s entire feature list, with only a few specifics limited to the more costly plans. 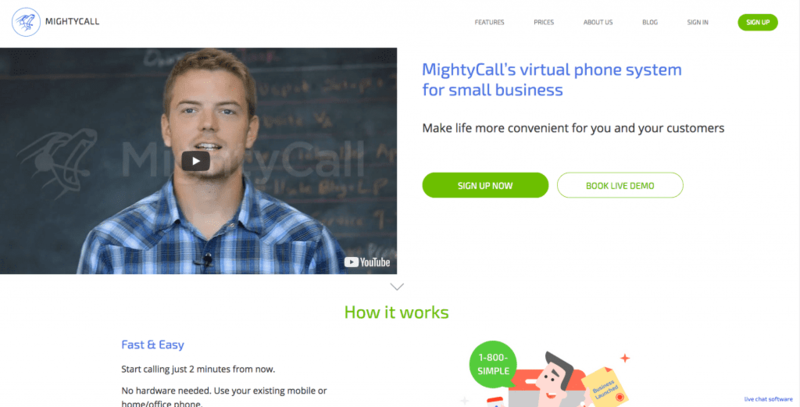 What really sets MightyCall apart is the limitations, or rather lack of, that they place on their different plans. For example, MightyCall’s plans place limits on available phone numbers and minutes, but not users or extensions. This means even large teams can still utilize the cheaper plans if all they need are a few phone numbers, and don’t require paying extra for more minutes. But beyond their affordable pricing, MightyCall also offers some unique features that help them stand out. Most notably is the inclusion of not only email communications, but social media interactions within the same exact platform and queue as phone calls. This enables your business to stay on top of multiple communication channels without having to piece together multiple costly solutions. Prince Range: $19.99 per month for the Basic plan with 5,000 minutes and 2 phone numbers and all features, $49.99 per month for the Standard plan with 10,000 minutes, 5 phone numbers, call recording and voice to text, or $99.99 per month for 15,000 minutes, 10 phone numbers, as well as API access. Any business that is looking for a complete communications platform, including phone , social media and email service all connected in one seamless platform. Smaller teams will gain most from the feature packed, affordable pricing plans, but even large teams can benefit if they don’t require extra phone numbers or minutes. A business alternative to Google Voice is, Nextiva. A VoIP phone service made for businesses of all sizes and industries. Nextiva helps transform the way users communicate with customers. 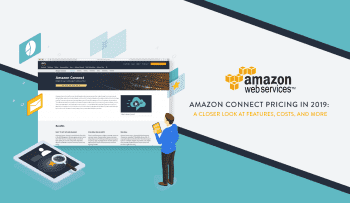 It places a great emphasis on the importance of maintaining powerful connections with the products it provides. Nextiva offers a Communication Management System (CMS), and secure Cloud-Based backup. Making it an All-In-One Solution for users to keep valuable customer data, all in one place. Similar to Google Voice, users can choose a local phone number and access services on multiple devices. As a communication system, Nextiva goes beyond business phone services. It gives users access to a variety of other features, as well. Businesses can send text messages, online Faxes, and use LIVE customer chat software. The Nextiva App, allows users to take the “office” to any location there is an internet connection. 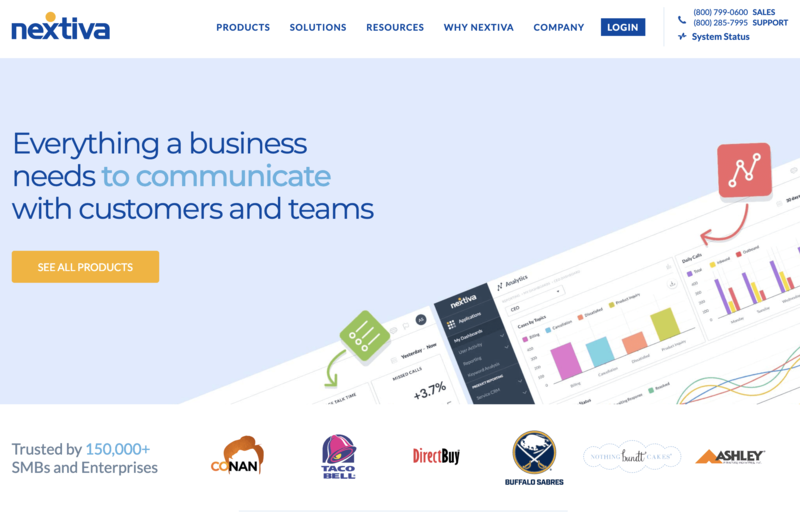 Nextiva focuses on uniting the business world with customers by providing communication options. Such as, real-time analytics and technology that translates data into insights. Users can also choose, call queuing, voice-to-email, and the Nextiva app, among many others. Nextiva is a great VoIP phone service alternative and a Business Communication System. It offers products that work great on their own, and even better together. Price Range: Nextiva offers several Office Plans starting as low as $19.95 paid monthly. Businesses who want a world-class phone service for their customers and teams. 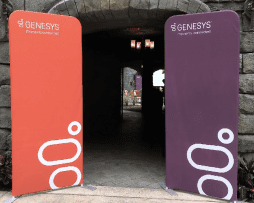 Those looking to connect with customers across multiple touchpoints. In a slightly different niche, DingTone is primarily a mobile phone app, yet still compares to Google Voice and other alternatives in a few different ways. 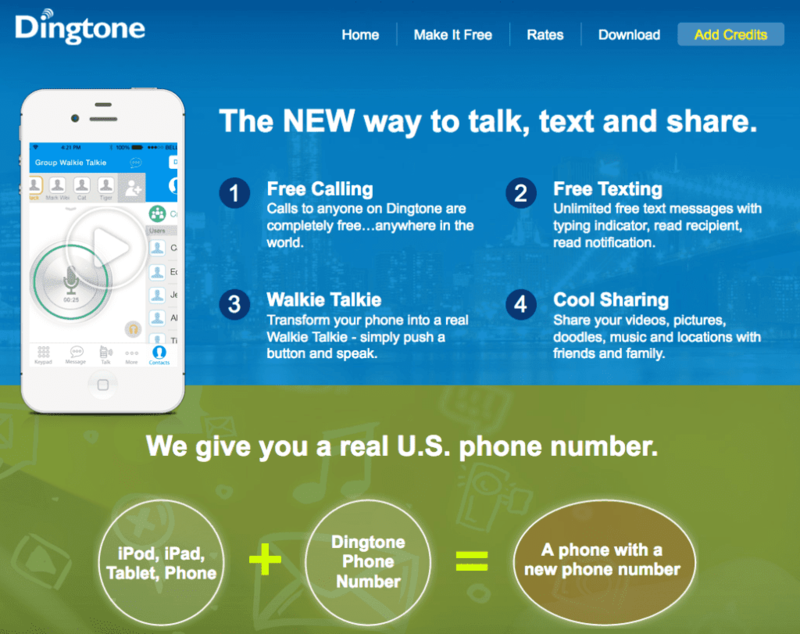 Using the DingTone app, users can make unlimited free phone calls, send and receive free text messages as well as SMS to share pictures, videos and even your location. The real benefit of DingTone is that the service will provide you with a real, local phone number. DingTone even allows for free group conference calls, and group chats with up to a few hundred participants at once. Seamless Facebook integration makes it easy to place calls or send messages to Facebook friends, and users can call landlines or mobile phones in over 200 countries with low rates. The real power of DingTone would be to leverage the platform as an integration tool with Facebook Messenger or simple text messaging, allowing customers or clients to receive the assistance or support they need almost instantly. Say goodbye to phone support, texting will be the new true hotline. As another cloud based business phone system, Telzio continues the trend of cost-effective yet featured packed. With local and toll free numbers in over 60 countries, you can adopt a centralized cloud phone system with unlimited call flows, unlimited SIP accounts, and unlimited extensions. Telzio offers a usage based pricing model, but with unlimited extensions and call flows, no matter the size of your business you can ensure every team member will have their own extension. Or you can tailor the system to your needs, say an extension for each department, or an extension for different locations. Other features include call forwarding to your mobile landline or IP phones, IVR menus, a web control panel, specific call hours and even free call recording. Price Range: Simple, stress free plans with pay-as-you-go pricing. Starting at 1,000 minutes per month for $50. 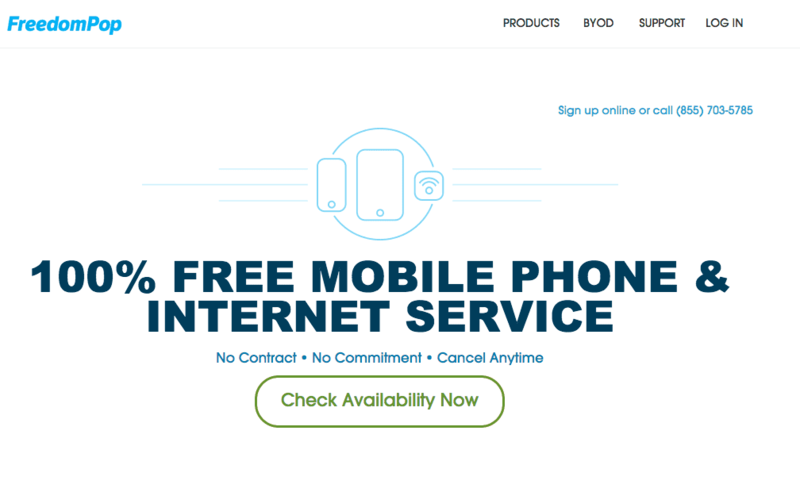 Freedompop certainly is one of the more interesting options included on our list. Established as one of the world’s first completely free mobile plan, the provider can supply a virtual number from anywhere in the world, enables free Wi-Fi calling, as well as texting, voicemail transcription, and even free international calling to over 60 countries. With their 100% free basic plan, users can send or receive 500 texts, 200 minutes of calls, and access 500MB of data each month – totally and completely free. You may need to purchase a Wi-Fi hotspot for your office, but Freedompop even sells unlocked mobile phones and provides business specific solutions with unified billing, bulk purchasing, discount pricing, and online account management. Of course with a BYOD option, Freedompop can be completely free and can help supplement a second or more mobile lines for your business. The service would also be a good option for a business looking to outfit its employees with work specific mobile phones through bulk purchasing of devices. One of the more popular Google Voice alternatives, Line2 has a strong focus on keeping a local presence, while empowering users to access their phone system from anywhere. Just like Google Voice, users can choose their own specific number, access their service on their phone, tablet or computer, and can make or receive unlimited texting as well as “practically unlimited” phone calls to the US and Canada. Of course you can keep your own number and port it over, or pick an area code in the location that your business serves, or even a toll-free number of your choosing. Other features include group conferencing, an advanced auto attendant, group messaging and picture messaging as well as after-hour settings. In an effort to keep the cost low, Line2 also only bills annually for just $12.45 a month – but with only having to pay once a year, it helps mitigate a reoccurring cost. While the cost of a Voiceably account might be a little higher than others, at $19 per month for 500 minutes, the service seems to combine some of the great features of multiple providers into one. Of course the service supplies either a local or toll-free number, but also allows SMS messaging, unlimited extensions – whether you have one employee or a few hundred, everyone or every department can have their own local extension. 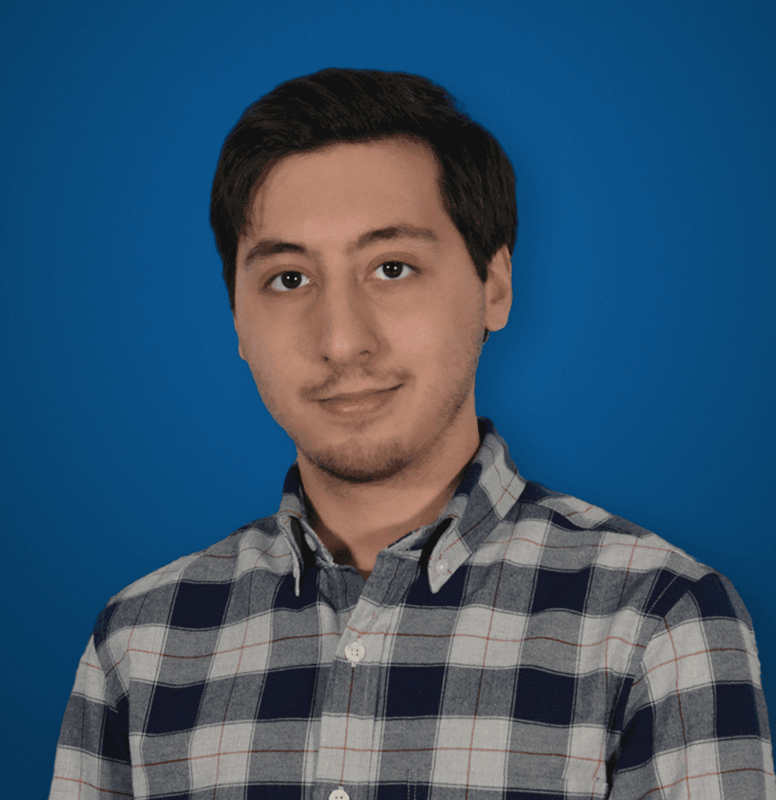 Voiceably also provides voicemail transcription, conference calls, call recording, number porting, and in a slightly unique twist – a Developer API. With an included Developer API, Voiceably makes it simple to integrate your phone system into a pre-existing CRM or even your own production applications. As a contact or call center, or someone that often collaborates with clients, this Developer API would be a huge plus. With the recent introduction of their free plan, OnSIP has shaken up the industry quiet a bit. 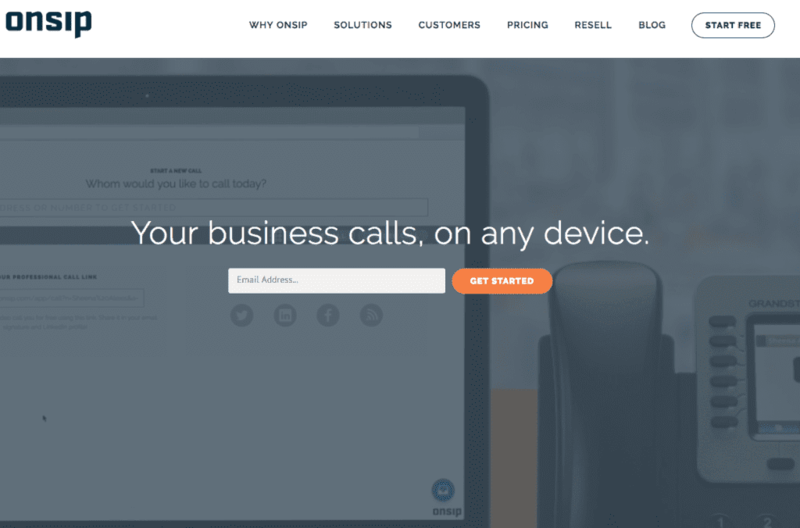 For free, OnSIP offers one of the closest Google Voice alternatives allowing up to 100 users to make web voice and video calls, and even unlimited extensions. The service only allows these web based calls, but rivals Google Voice in that fashion. On top of it all, OnSIP also provides great features such as web phones, web call links, team presence, slack integration, a Google Chrome extension, Zendesk integration, Business hour rules, and even a developer API for even further customization. Users can even utilize any SIP phone or app to place calls, with unlimited SIP to SIP calling and SIP domain hosting. A pay-as-you-go plan removes the 100 user limit and allows external PSTN calling, but also requires the purchase of up to $50 worth of extra features. ONSip and Line2 have the same header background image. Same company or one copied the other? As far as we can tell, they two are different entities. I’m on freedompop, mostly for the unbeatable prices. The sound quality is not always impeccable, and the delay between each end is challenging. I’ll stick with free, though…. Thanks for the information. I have enough problems when using Skype, Viber, or FB. I need a good quality for my main line. As I read this… I see that there are exactly ZERO options. Google Voice is still the best option and it’s free. These don’t offer me anything Google Voice doesn’t and they cost. No Bueno. And where do you get your google voice from ? ?